I never thought I'd be interested in silk pajama-like pants, but it was love at first try on with these. They're so comfortable and perfect for the hot, humid weather we've been having here in D.C. I'm now convinced that everyone needs a pair of breezy, light and flowy pants like this in their wardrobe. Especially since they're ideal for an effortless yet pulled together look. Side note, I've been wearing a lot of blue and white lately. Oh, and apologies for the lack of posts earlier this week. As I mentioned, we had a wedding in Norfolk this past weekend and decided on our way home that, well, we just weren't ready to go home haha! A few taps on the Priceline app and we were headed to Ocean City for the night! It's a rare occurrence when I'm able to suppress my Type A tendencies, so I was pretty proud of myself for embracing spontaneity. I really felt like I was able to relax and recharge, which I think I needed more than I realized. Coupled with the holiday tomorrow, I think I'll be fully revitalized in no time! There will be a post tomorrow, so make sure to check it out before your Independence Day festivities begin. Have a great Fourth of July, lovelies! P.S. Don't forget to switch from Google Reader to either Feedly or Bloglovin'! Details here. Love this look! Those pants are amazing! Love the white and blue combo together and I've been so iffy on the pajama pants- afraid I'll look like a genie or something but you definitely pull it off! OMG - I couldn't love this any more! 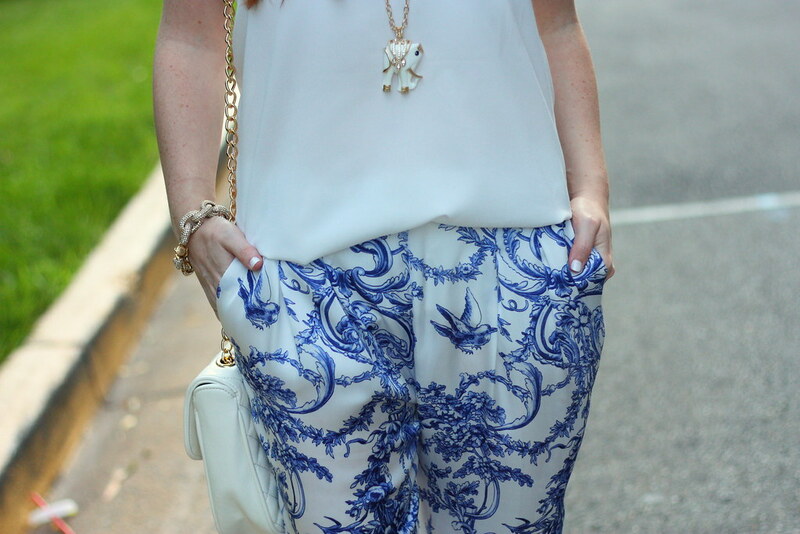 I am obsessed with all things blue & white right now and those pants are gorgeous on you!! These pants look great on you! I love ocean city, we go just for the day sometimes. Glad you had a good trip, its done nothing but rain.... boo! 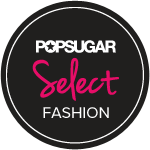 Pants that are comfortable to wear and look gorgeous are the best! Love this blue and white look! Have a great 4th! The white and blue combo is just so classic -- love these pants, they look utterly comfortable! Omg I'm the same way with my Type-A personality. If it's not planned I don't go.. haha! Love the print on those pants! Beautiful!! I love those pants and the print. I've been dying to try out some pants like this. Gorgeous! I love a good blue & white baroque/damask print. And anything that keeps your cool in this humidity is good with me! You look gorgeous and I love everything about this outfit!! Oh em gee I looove these pants! Pretty sure I need to find a pair of pajama pants!